Although I have to admit that I've gotten pretty content with driving around in my minivan (just call me a Soccer Mom! ), there are times that I do miss having a vehicle that is a bit smaller and not as matronly. 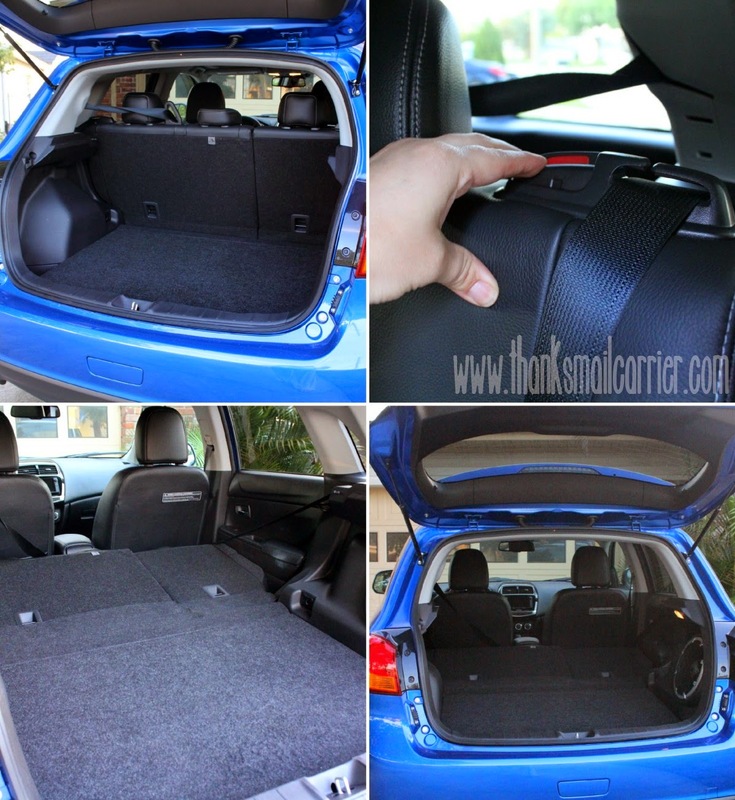 But how could I give up all of the versatility, comfort and storage space and go back to a little car? Or at least that's what I thought. 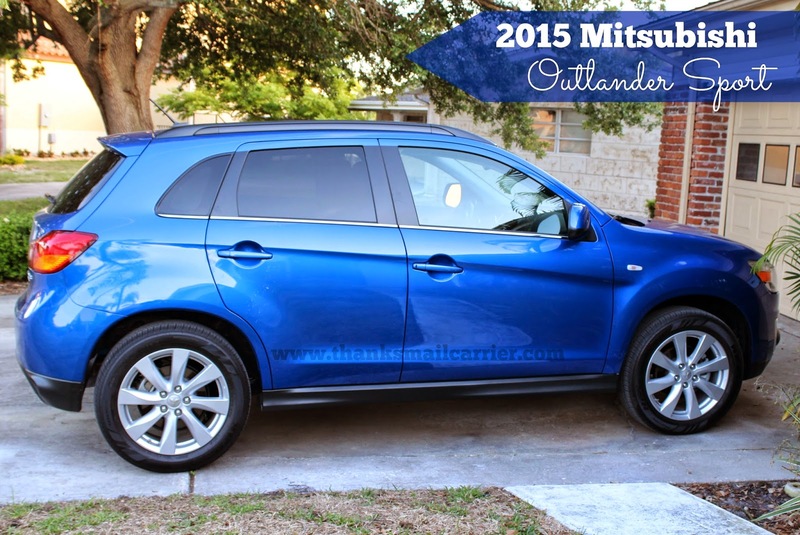 Then I was introduced to a way to have it all in the form of the Mitsubish Outlander Sport SE 2.0! My first time hearing the term CUV – Compact Utility Vehicle – the Outlander Sport combines the utmost in style (inside and out) as well as sky-high standards of safety and features galore in its 5-passenger compact crossover category. How could I not be excited to get to hang out with this cutie? Available in a variety of different colors and models, the Outlander Sport has everything from technology to safety to affordability that families depend on, whether running errands around town or, like us on our recent Florida vacation, traveling from theme park to theme park. 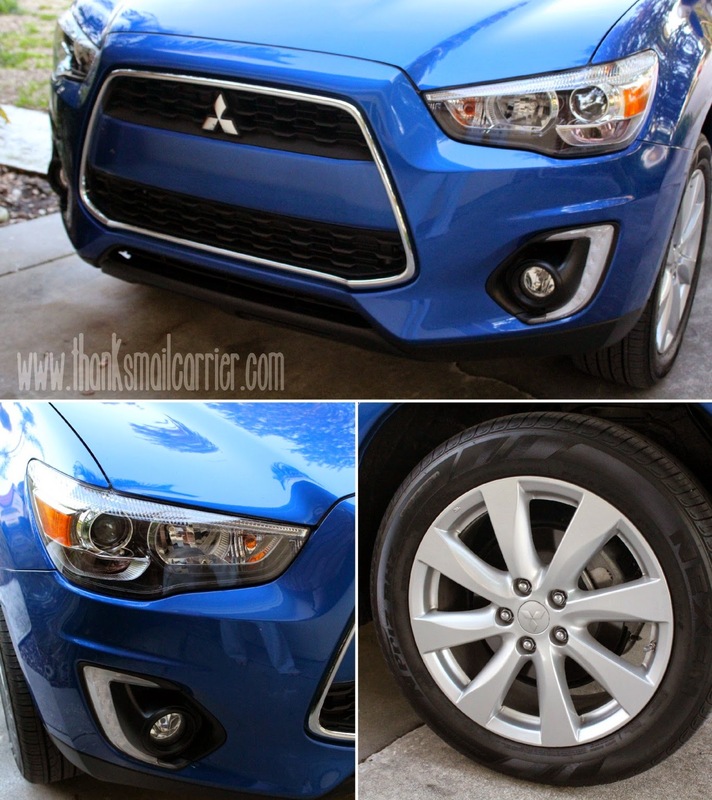 Upon first laying my eyes on the Octane Blue SE 2.0, it was easy to see that Mitsubishi had covered every inch. From the matching bumpers to the chrome detailing to the alloy wheels, this isn't a generic looking sedan or SUV, this is a vehicle for the family that isn't sacrificing appearance for convenience! After admiring the outside, I couldn't wait to hop into the Outlander Sport to see just how much it had to offer on the inside as well. When I did, I continued to be impressed with all that Mitsubishi had included, as the heated front seats were extremely plush and comfortable, the one-touch Start/Stop engine button was perfectly located, multiple aspects of the car could be controlled right from the leather-wrapped steering wheel, and each and every gauge was clearly illuminated and easy to read. Looking into the back, there was plenty of room for two or three people to fit with ease and my kids quickly discovered (and loved) the fold-down armrest/cup holder! But when it comes to transporting items around, the Outlander Sport is clearly a winner in that department as well. Considering how easily the second row of seats fold down with the press of a button (both together or a 60/40 split), owners would never have to worry about carrying anything from groceries to strollers to even furniture. 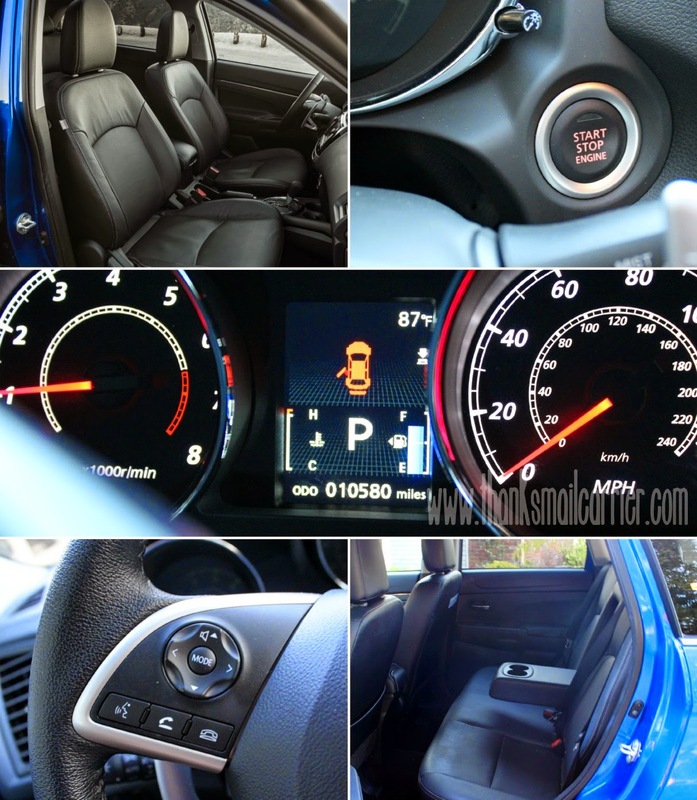 Once I began driving the Outlander Sport around, I quickly found that there wasn't much more that I could have asked for than what was already included. ...and, one feature we didn't even initially realize was there, it had a gorgeous panoramic glass roof with LED illumination! 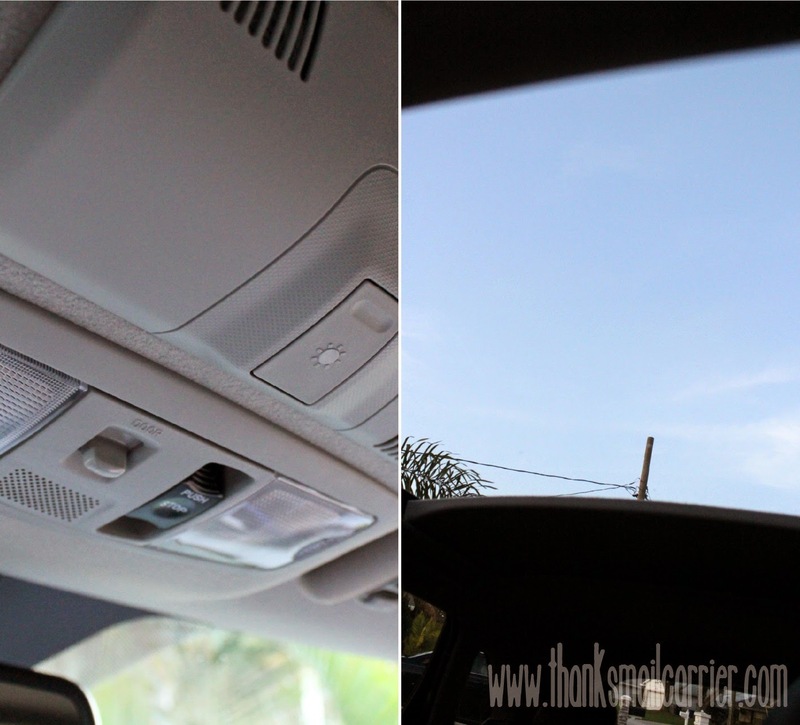 Whether driving day or night, it only took the press of a button to slide the inner roof covering back to see out. Then, with another press, the roof popped open to let in the beautiful weather! This photo doesn't at all do justice for this huge and beautiful glass roof! All in all, after a week of driving the Mitsubishi Outlander Sport around Florida, I was sad to say goodbye to it. It provided decent gas mileage (25 city and 32 highway), kept my family very safe (Active Stability Control, 3-point seatbelts and head restraints, advanced 7 airbag system, Mitsubishi's patented Reinforced Impact Safety Evolution safety cell body construction, and more), and there wasn't a single complaint about lack of legroom or space. 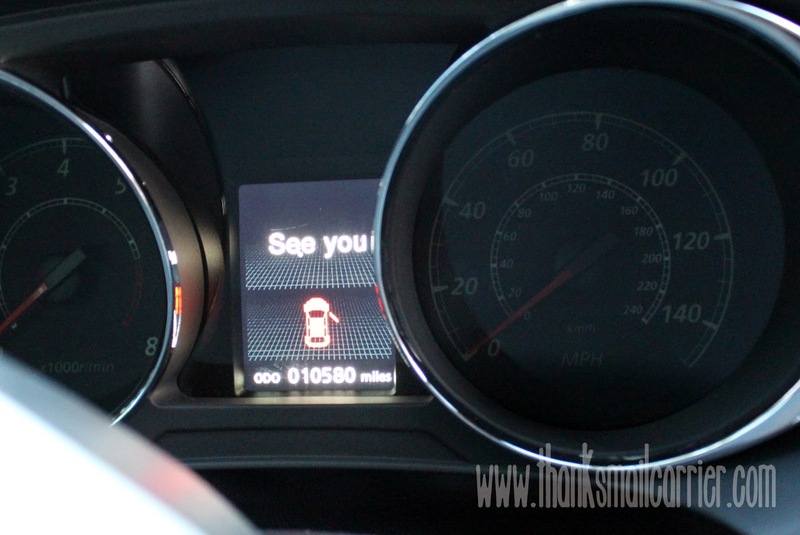 Each day that I got in on our trip I found new features that I hadn't noticed before (The side view mirrors are heated! That would sure come in handy during our Midwest winters or Did you see that? The windshield wipers just went on their own! Rain-sensing wipers! Genius!) 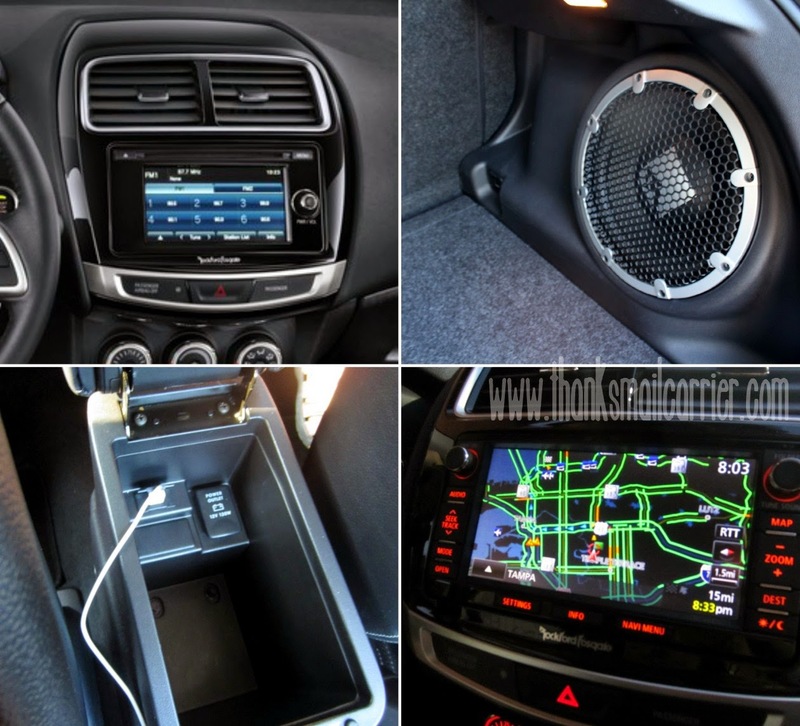 and the high quality of the Mitsubishi craftsmanship is evident everywhere you look, inside and out. Heck, this adorable car even says Hello when you turn it on and See You when you turn it off! Why can't all vehicles be this friendly? 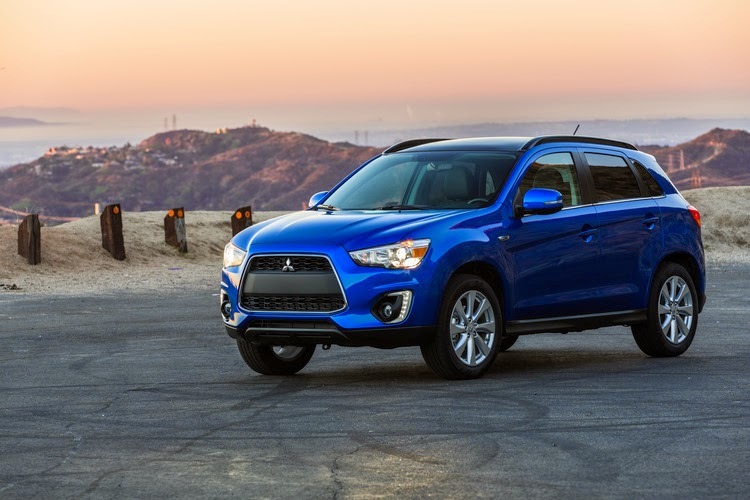 With an MSRP of $22,795, the 2015 Mitsubishi Outlander Sport SE 2.0 drives well, looks amazing and is a great choice for families who want more space than a typical car but want to drive something smaller than an SUV or minivan. You can find out lots more on this incredible vehicle by visiting the Mitsubishi website and connecting with them on Facebook and Twitter. Other than the 2015 Mitsubishi Outlander Sport that I was provided by Drive STI in order to facilitate my review, I was not compensated or enticed to do this review in any way. This post is solely my honest opinion about the features and quality of this vehicle. Cars have come such a long way in the 13 years I've had my car. Heated seats and mirrors? Wow. Mitsubishi is a great brand. And the handling on them is incredible! My boyfriend has a 2003 Eclipse and the handling is like a Lincoln! Pure Luxury. I love it. This looks like a nice vehicle and just about the size I need. Wish I could afford a new one.